How can I make a payment to another financial institution? You can transfer funds to another institution using our Bill Pay feature. 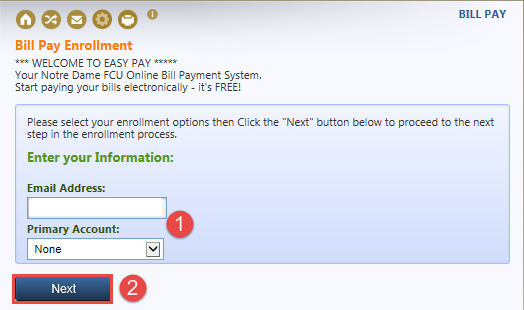 To set BillPay log into online banking and select Pay Bills then select Enroll in Easy Pay. 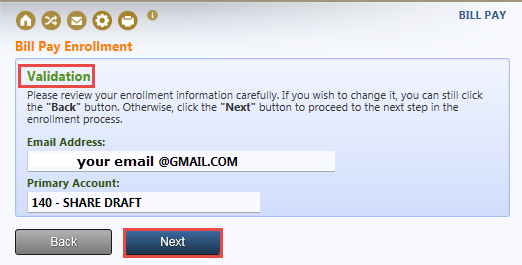 You will now enter your email address and choose the primary account from which you will pay your bills (1). Select Next (2) when you are ready to continue. You will validate the information and select next. You must review and accept to the terms and conditions (1) and then select Sign Me Up (2) to enroll. 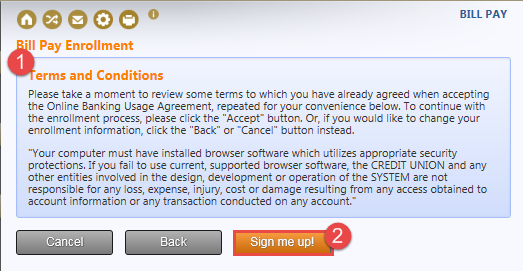 You will receive a notice that the bill pay requires you to log off and log back into the system. 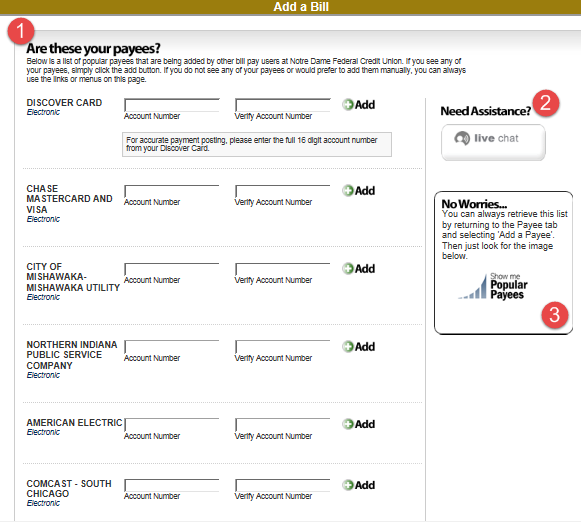 When you log back in and select Pay Bills, your option now reads to Go to EasyPay. Select this button to continue with the process and you will select this option for future payments. 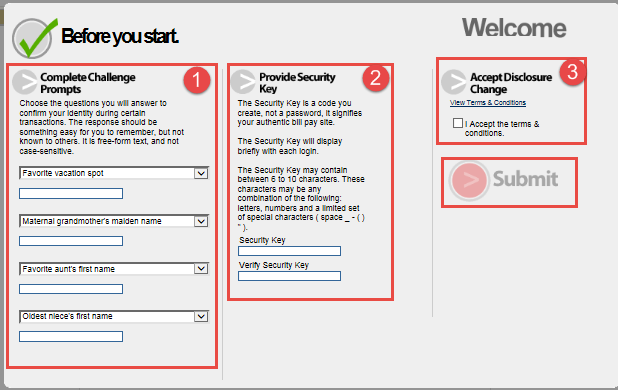 You will have to enter security questions (1), provide a security key (2) and accept the terms and conditions (3). Once you have completed this, you can select the submit button to continue. You are now offered the option to enter the information for your most recent payees (1). If you need assistance, you can use the Live Chat feature (2). If you do not have the information, you can go back to this page at a later date by selecting the Add a Payee and look for the image that read Show Me Popular Payees (3). For additional assistance and to learn how to use the system more, you can view the demo or for further assistance go to I have questions about bill pay.